When the mayors from Alabama’s five largest cities formed an alliance in 2014, they knew there was power in numbers when it came to creating a strategy for developing a better relationship with legislators and improving their cities. After all, when you combine Montgomery, Mobile, Birmingham, Huntsville, and Tuscaloosa, you’ve accounted for nearly one third of Alabama’s population. Now, nearly four years later, the “Big 5” mayors still get together four times a year to strategize on how to best improve their cities. 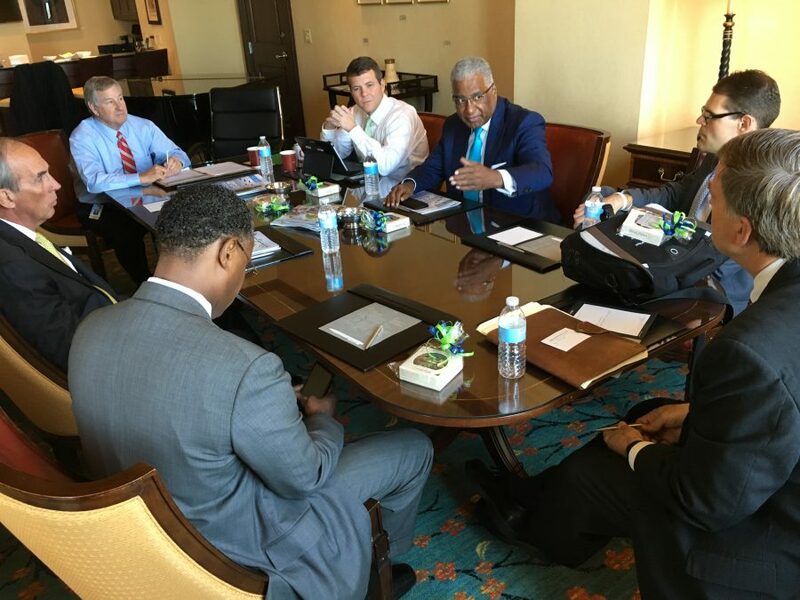 Last week’s “Big 5” meeting was no different, when Huntsville Mayor Tommy Battle, Birmingham Mayor William Bell, Tuscaloosa Mayor Walt Maddox, Mobile Mayor Sandy Stimpson and Montgomery Mayor Todd Strange met with Governor Kay Ivey, along with key cabinet members and state legislative leadership, to discuss several priorities with lawmakers this legislative session. Meeting in Montgomery on Thursday, the group said maintaining and improving Alabama’s infrastructure tops their list of collective concerns since it is essential to economic development. While cities allocate larger portions of their budgets to local infrastructure, state and federally controlled highways, byways and interchanges must keep up with the demands of commerce — and that falls on the state Legislature. In keeping with the jobs and economic development theme, the mayors urged legislators to pass a bill renewing the historic tax credit, a proven component to cities’ growth and development. They also encouraged increasing the cap available for economic development in the Alabama Jobs Act.